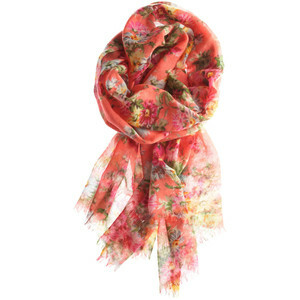 Floral prints are very in this season – how perfect for spring! I’m in love with this look – whether it be in a shirt, scarf or dress. If you would have asked me 5 years ago, I would have said this is a print my grandmother would wear, but as it usually happens, fashions become cyclical. Check out Banana Republic for some amazing prints and styles.